snuck up. Fast. And when the arctic north opened the door, it was COLD. 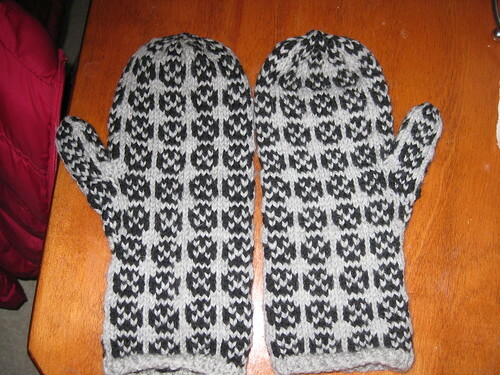 So there was mitten knitting. 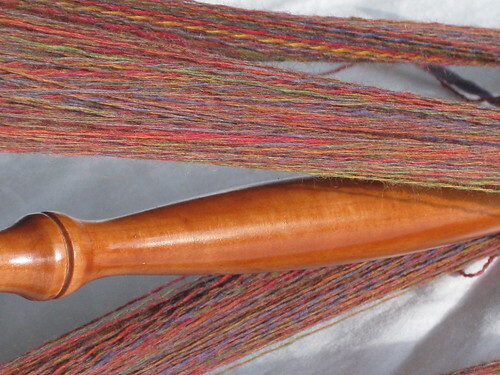 Believe me, I have this pattern down. 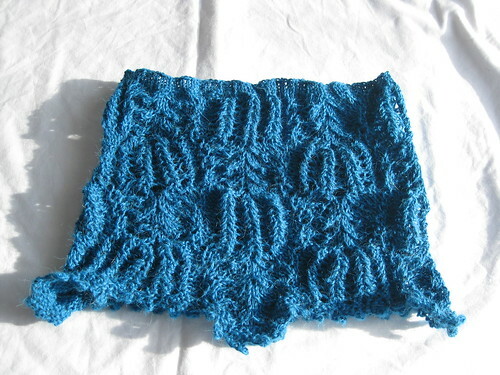 These are quick, knit with Cascade 220 and size 5's. 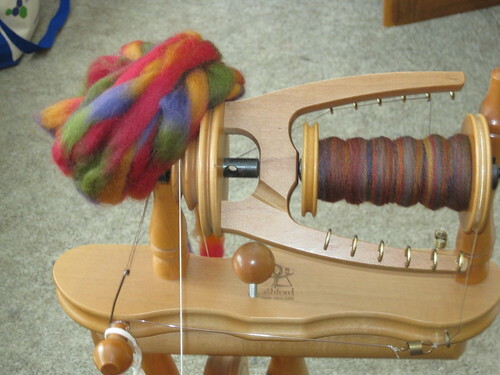 One skein of each color made 2 pairs of mittens. Anyone looking for these just email me. 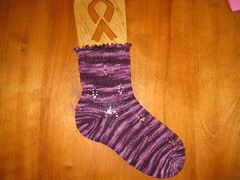 They can be 2 or 3 colors, are 100% wool, and are $17.00 for 2 colors, $20.00 for 3, plus $3.00 for shipping in the US. I know it sounds expensive, but they will last and are so much thicker and warmer than the ones at certain box stores or gas stations. And the pattern can be modified if desired. It's approx. 267 yds, 18 WPI and 3 plies. 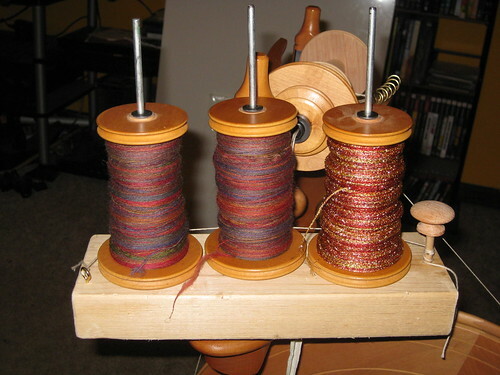 When I ran out of the JAZZ, I just plied the 2 little singles togther until they ran out (actually, one ran out, I need to ply up the 2nd one into more 2 ply.) It's approx. 241 yds, 21 WPI. 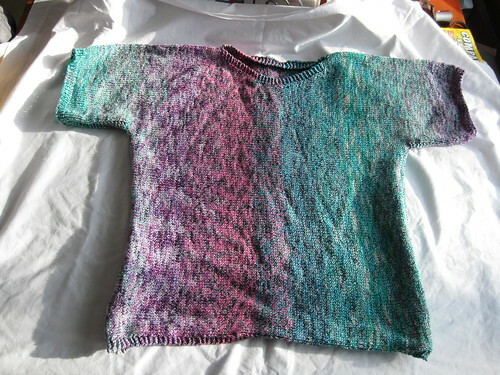 In other knitting, I did finally seam up my Tofu Tee. 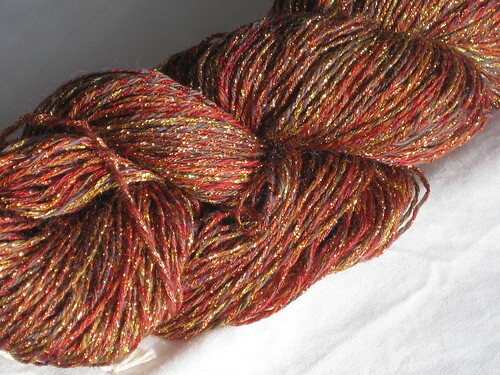 It's done in SWTC's Tofutsies yarn, and I love the way it turned out. Head on over to the website to purchase the pattern here. 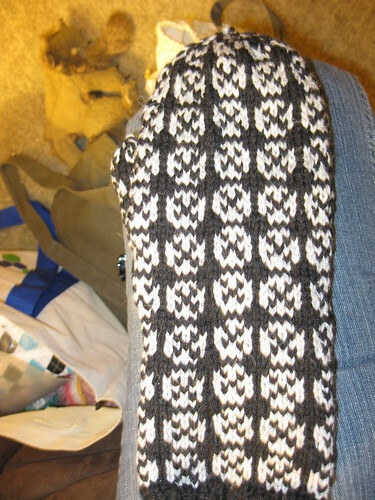 A cowl done in SWTC's Inspiration (alpaca and soy). I'm sad that this has been discontinued, I love the blend. 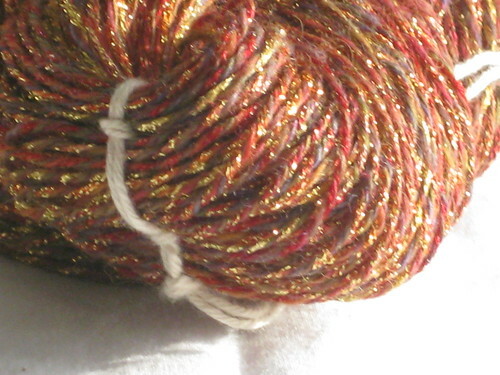 I have more in another color that's destined to be a jacket. 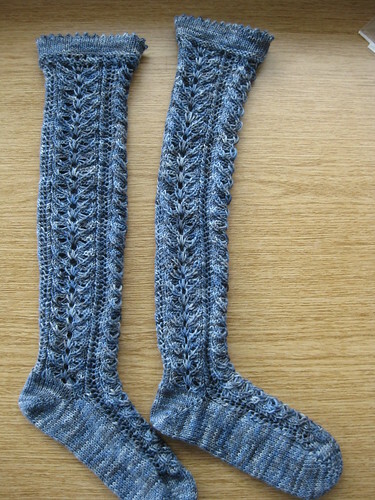 And lastly, a pair of knee-highs for DD's wonderful doctor done in Araucania Ranco Multy. 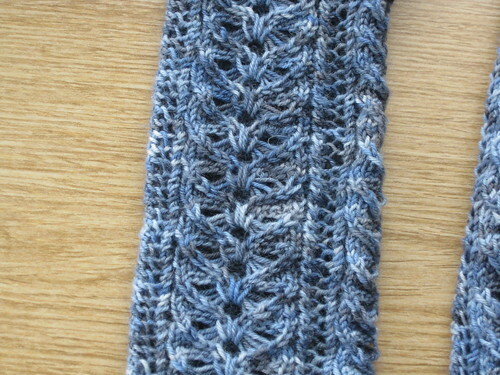 It's Bettie's Lace Stockings by Hana Jason; from Interweave Knits Spring 2009. I will not tell you her name, because I want her to stick around here. DD really likes her, and when it comes to making sure all bases are covered, she does a wonderful job. They look skinny, but that's only because they aren't on sock blockers. 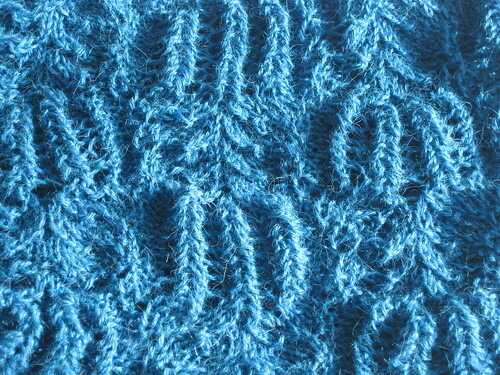 I've been doing designing and secret knittting that I can't post pix of. Once it's published this summer, I will. Pinkie promise. We held Dad's memorial/funeral service on the 15th. 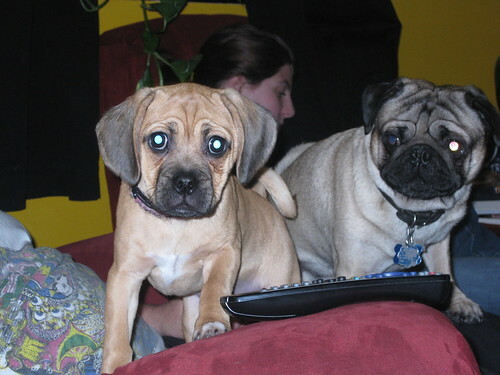 I would love to thank my bestest friend for being there to lend me her support along with DH. He was a well-loved man who lived life to the absolute fullest he could, even when he was sick. He made the decision to go thru chemo and radiation 4 times to prolong his time with his family. As the BF put it, "Think of it as closing a great book that was so asesome, but because you know the ending you just can't read it again."